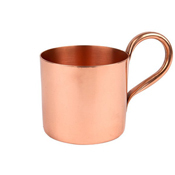 Our sophisticated copper mugs are modeled after the original 1946 Moscow Mule mug...yet another thing to love about this storied libation that is fast becoming a star on the American cocktail circuit. 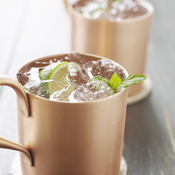 The Moscow Mule, traditionally made from vodka, ginger beer (we prefer Liber & Co.'s Fiery Ginger Syrup) and a squeeze of lime, has historically been served over ice housed in copper mugs. The copper keeps the drink cold while you sip happily away. Sleek and shiny, the 12 oz. 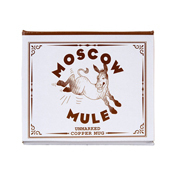 mugs are a welcome addition to the at-home bar and a much appreciated gift for the cocktail enthusiast!